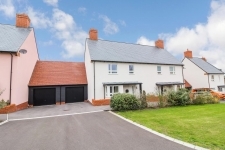 Charlton Mead, Charlton Marshall - 3 Bed - Guide Price £349,950 House semi detached [Freehold ] Dorset Property are delighted to offer for sale this beautifully presented three bedroom semi detached family home set within the popular village of Charlton Marshall. Accommodation in brief comprises entrance hallway with two storage cupboards, ground floor cloakroom, sitting room with electric fire and lovely bay window. Spacious kitchen/diner with a good range of wall and base units, inset gas hob with electric oven, fridge freezer and dishwasher. 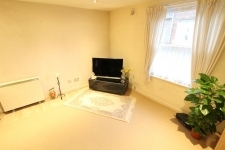 To the first floor are three good size bedrooms including master with en suite shower room. Old Farm Gardens, Blandford - 2 Bed £215,000 House terraced [Freehold ] Dorset Property are delighted to offer for sale, this extremely well presented, bright and sunny mid-terrace house situated on the edge of Blandford Town Centre. This property is perfectly located within walking distance to the Town Centre, with easy access to Poole, Wimborne and Salisbury. 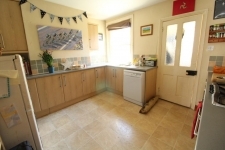 Accommodation in brief comprises, entrance hall, leading to a good sized sitting room, fitted kitchen with gas hob, integrated electric oven and ample space for further appliances. On the first floor you will find two double bedrooms, one of which boasts built in storage, a family bathroom with three piece suite including shower over bath. Further benefits include, gas fired central heating and double glazing. In addition there is a separate garage to the rear along with a generous sized garden. 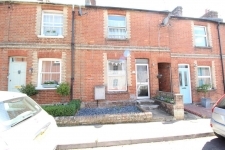 Victoria Road, Blandford Forum - 2 Bed - Offers in Excess of £177,500 House terraced [Freehold ] NEW INSTRUCTION:IDEAL INVESTMENT OPPORTUNITY WITH A TENANT. We are delighted to offer for sale this TWO BEDROOM MID TERRACE VICTORIAN cottage situated within walking distance of the town centre. The accommodation comprises in brief; living room, kitchen/breakfast area, cloakroom, inner lobby, first floor bathroom and two double bedrooms. On entering the property from the street you are greeted by a surprisingly spacious and light living room, with solid wood floors and exposed brick built fireplace. Continuing through an internal door brings you to the fitted kitchen which is also bright and spacious, and offers plenty of overhead and under counter storage, inset sink and drainer, inset electric hob, built-in oven, further storage can be found in a cupboard. Beyond the kitchen on the ground floor is a lobby area offering access to the rear garden via wooden door. From this lobby you can also reach the cloakroom. On the first floor we have Two double bedrooms and a family bathroom. Outside the rear garden is mainly laid to grass, brick built storage shed and side access. NO FORWARD CHAIN. 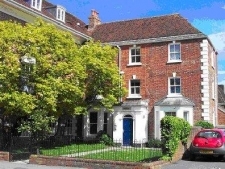 West Street, Blandford - 1 Bed - Guide Price £75,000 Studio [Leasehold ] Dorset Property are pleased to offer for sale this well presented ground floor studio apartment located within close proximity to local amenities and local walks close to the River Stour. 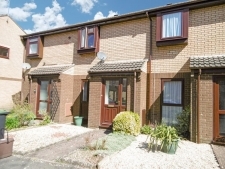 This property is an ideal investment/buy to let offering a good yield. 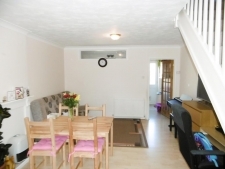 The property is accessed from the communal entrance hall. The property has a good sized sitting/bedroom, with carpet flooring and sash window to the rear of the property. 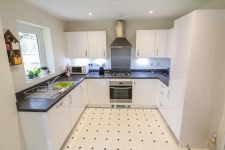 The kitchen area boasts modern units with a good quality worktop and matching splash back, electric hob and oven. Bathroom with white suite including; bath, with shower over and shower screen, basin and WC.